Join Keep Fremont Beautiful and communities across the country for the Nation's Largest Community Improvement Program. Our main event this year will take place on Monday, April 22 from 8:00am - 10:00am - that's Earth Day! KFB will provide drinking water, gloves, bags and we have a small supply of reachers available for the event as well. Feel free to bring your own gardening gloves, trash reachers and rakes so we can clear parks and storm drains of litter and yard debris. Sign up below! Support for you and support for the community. A donation based yoga class, instruction for all levels, to give back to non-profit organizations in the Fremont Community. Sunday donation based classes will benefit Keep Fremont Beautiful and CATZAngels Rescue. Yoga mats, blocks, props, pillows and blankets will be provided. Bring yourself, a monetary donation, a friend (if you'd like) and enjoy some Sunday morning yoga while benefiting the Fremont community. Find out more at Blue Yoga Studio and on Facebook. Baker's is giving back to the community - providing an additional opportunity to support Keep Fremont Beautiful and our programming! Just register for the Community Rewards Program, use your rewards card while shopping at Baker's and they will generously donate a portion of each of your purchases back to Keep Fremont Beautiful. Registering is easy! All you have to do is go online and enroll your Baker's Plus card in Baker's Community Rewards. Designate Keep Fremont Beautiful as your charity of choice to receive the Baker's contributions. Then, every time you use your Baker's Plus card you'll be supporting the programs of KFB - it's that simple! (For new online customers: Click on the "Create an Account" button). Sign up for a Baker's Rewards Account by entering your email address and creating a password. Then, add your ZIP code to select your favorite store and agree to the terms and conditions. You will receive a confirmation email to thank you for registering. Enter your Baker's Plus card number or alternate ID information and click "Save." Click on "Enroll Now" under the Baker's Community Rewards page. Enter your address information and click "Save." Enter NPO nu 29024 or select "Keep Fremont Beautiful" from the list and click "Enroll" to confirm. If you have enrolled correctly, you will see Keep Fremont Beautiful on your account summary page beneath "Community Rewards." Please take a few minutes to register your card and provide additional funding to KFB! 20-30% of what we throw away, and should be composted instead. Making compost keeps these materials out of landfills where they take up space and release methane, a potent greenhouse gas. 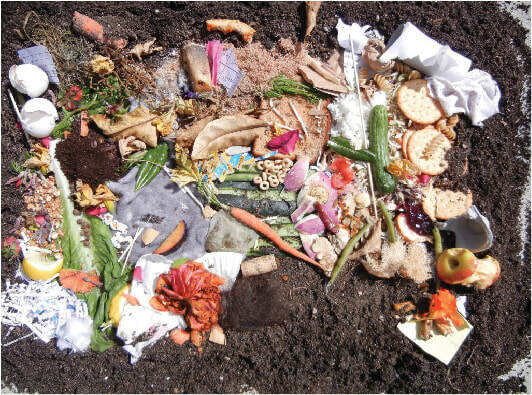 Download our Composting At Home flyer to start your composting journey today!